“O Faithless generation. How long shall I be with you? How long shall I bear with you?” (Mk 9:19) Think about these disturbingly harsh words from our Lord in the Gospel reading today. “O Faithless generation.” Were they words only for His generation 2000 years ago, or do they describe the times we live in? Reading the Bible, and reflecting on the history of God’s people in Scripture and throughout Church history, we realize that in every generation we see faithlessness, wickedness, and a general indifference and turning away from God. This is not something new in our own generation, but a description of every generation. What is maybe more important for us to realize throughout Scripture, however, is how a few people stay faithful, only a remnant of people struggle to follow the ways of God. Imagine during the generation of the Prophet Elijah, he thought he was THE ONLY ONE in all of Israel who remained faithful to God. Elijah wasn’t criticizing the people and nations outside of Israel, but he thought even within the chosen people of God, he alone held on to the faith, he alone remained faithful. Of course, God corrected him and let Elijah know he wasn’t alone, but the Lord admitted that only a few thousand, out of the entire country, remained faithful to God. The journey to faithfully following Christ is definitely NOT easy. And if we are not struggling, consciously wrestling daily to stay faithful, then we probably are NOT on the narrow path that leads to life. Holy Scriptures and the Holy Tradition of our Church remind us constantly that we must remain VIGILANT, CAREFUL, SOBER, and SINCERE in our struggle to walk with Jesus Christ. Our contemporary Christianity has turned the Christian life into some comfortable, easy stroll through the pastures of self-centered desires and hoped-for prosperity, instead of the actual spiritual battle in which we are toiling and laboring to overcome our egocentric desires and passions and cultivating the virtues that lead us down the narrow path of His kingdom. This war should be magnified during the Lenten season. And yet, I want to ask all of you a serious question – “Do you feel like you are sincerely struggling to grow in your Christian faith during this season of Lent? What are you actually doing where you are consciously seeking after God? I know some of us may be fasting during this Holy season, but is our Fast a serious exertion? Are we combining the physical fast with spiritual ascesis?” Please let us ask ourselves right now, “How much time and effort EACH DAY am I making to seek after God? How am I nourishing my faith and striving to grow in my commitment and dedication to Him? Does it feel like an authentic battle? If not, then we are doing something wrong! Remember, our faith is not simply some knowledge we acquire, but it is a relationship we constantly build. And all of us know that in any relationship, if we don’t put in time, and if we don’t sensitively care for it, we risk losing it. Think of the human relationships each of us have in our lives. Do relationships stay the same? Are the closest friends we had 30 years ago, 20 years ago, or even 10 years ago, the same as today? Why do some friendships and relationships blossom and grow, while others disappear? In a similar manner, our faith, if not attended to and nourished, will also change – for the better or worse. Today on the 4th Sunday of Lent, we remember one of the great ascetic fathers – St John of the Ladder. St John was a spiritual giant who served as the abbot of St. Catherine’s Monastery on Mt. Sinai during the 7th century. As the spiritual guide of numerous monks, he wrote the spiritual classic The Ladder of Divine Ascent, one of the greatest books in all Christian history, whose purpose was to help his monks journey up the spiritual ladder that leads into the Kingdom of Heaven. 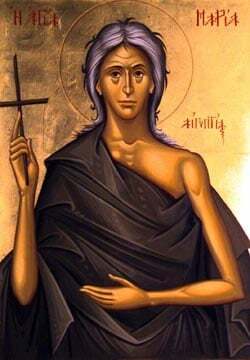 St John clearly understood that even monks, even those who take monastic vows and try to live radical lives for Christ, even such people needed reminders to take care of overcoming their vices and nourishing the virtues that lead us to God! If monks need reminders to struggle in their faith and journey up the ladder of divine ascent, what does that say for the average Christian living in a secular world surrounded by constant temptations that lead us away from God. Ultimately, we come to Church every Sunday. But are we here every Sunday and even on other days to sincerely worship the Lord? We participate in the Divine Mysteries of Holy Communion and Holy Confession. And yet, how many of us actually go to Confession? We journey through Great Lent with the spiritual disciplines of prayer, fasting and almsgiving. How serious, however, is our daily prayer rule, our physical and spiritual fasting, and our conscious almsgiving? These are all questions we all have to ask ourselves, sincerely and carefully. Self-awareness, not self-deception, is what we strive for in our Christian walk. O faithless generation? Will the Son of Man really find faith when He comes on earth? This question of our Lord should make us all reflect on our lives, our own journeys, on the growth of our faith, and lead us to ask ourselves, “Are we among the few, the remnant, who authentically and sincerely struggle down the narrow path of faith, or do we fall in with the many who carelessly stroll along the broad path of destruction?” The battle awaits each one of us!